Amazon's budget Fire tablet was already a good deal at $70 with 16GB internal storage, and now it is even better. Amazon is holding a special sale today on the Fire tablet essentials bundle. 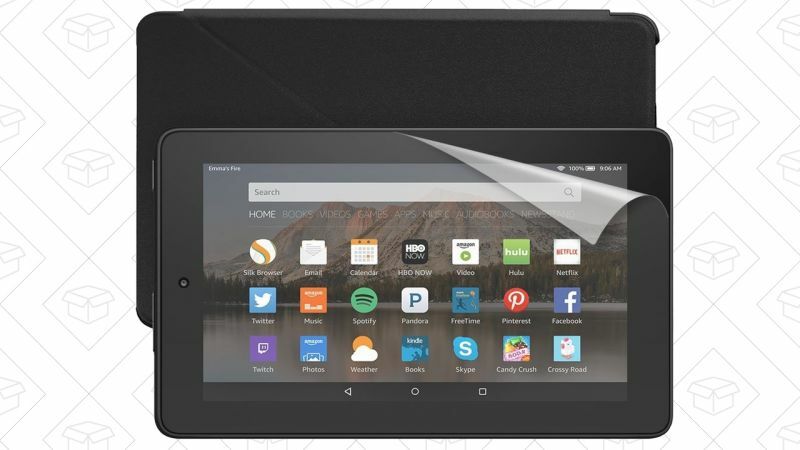 this bundle usually retails for $68 or $88 and includes a case, screen protector, and the Fire tablet, but today you can get the 16GB bundle for only $60 - ten dollars cheaper than the tablet alone. Simply head over to Amazon, add the $88 bundle to your cart, and then enter the code FIREBUNDLE. Amazon will take $28 off the price, knocking it down to $60. Just noticed Amazon has raised the price of their Fire HD 10 tablet from $229.99 to $244.99.